Capturing the authentic sound and spirit of The Greatest Rock n Roll Band In The World, NOT THE ROLLING STONES have played festivals, theaters and private gigs throughout Europe, the middle east and the UK. 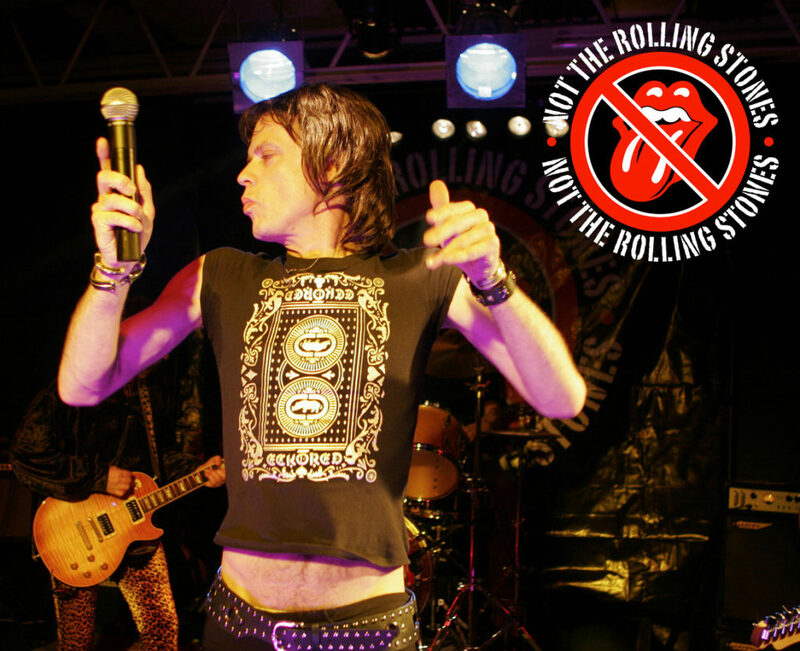 Featuring the best Mick Jagger lookalike you will ever see, the band will take you back to the Golden Age of The Stones- from Satisfaction to Sympathy for the Devil…You won’t believe it’s not Jagger!. Rob Glenn is a vibrant tribute performer with a strong repertoire. Engaging with audiences of all ages he is very popular at holiday resorts and hotels! Rob’s Bruno Mars Tribute performs all the best Bruno hits like, Uptown Funk, Treasure and Locked out of Heaven. He is recognised for performances across the United Kingdom and abroad, Rob as Bruno Mars will keep you on your feet all night long. 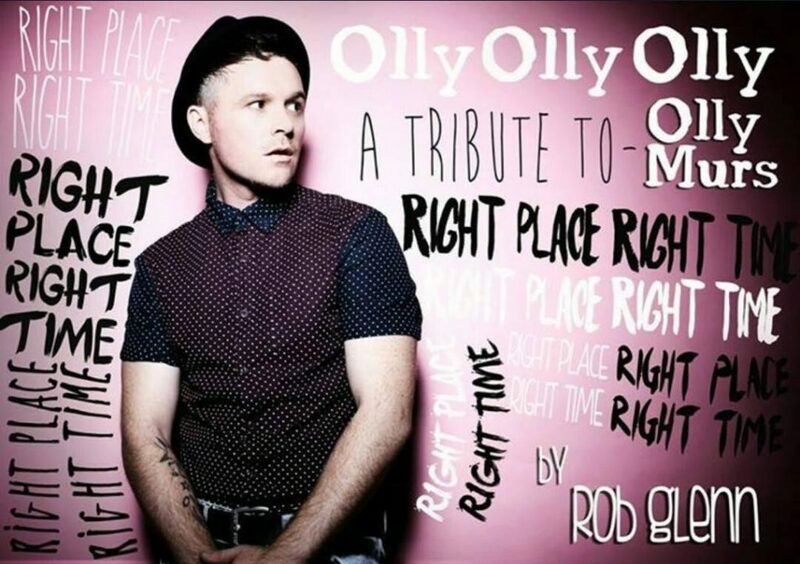 Get wrapped up in this amazing Olly Murs tribute act by Rob Glenn. Rob’s a vibrant tribute performer with a strong repertoire and our cheeky chap has a great likeness to the pop star himself and will have your guests up on their feet all night. many more songs will have your audience on their feet all night long. Electric ukulele legends Plucking Different are something unique performing an eclectic mix of infectious feel-good songs that will have you dancing in the beer tent and grinning from ear to ear. Expect Muse to Mumford & Sons, The Waterboys to White Stripes and Gogol Bordello to Guns N Roses rendered in their own inimitable style. 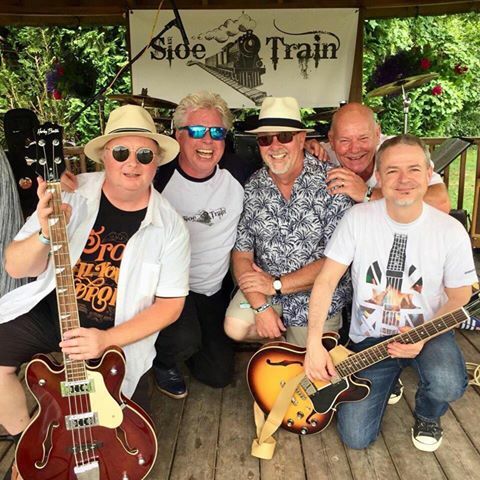 Since forming in 2014, the band has evolved into an in demand live act on the music scene, unleashing electric ukulele mayhem at festivals across the UK with an impressive CV of bookings to match. 2018 saw the band embark on The Plucking Awesome Tour around the UK headlining several festivals. Sloe Train first appeared in 2014, but it took us a little while to get our Mojo into fully working order. Our lineup has been settled now since early 2016 & we are building that rapport as a band that only comes with time on the road having played lots of gigs together. Very simply, we love to get out there and put on a show – that’s what it’s all about & our live shows are getting better & better. A big thanks to everyone who has helped, listened, encouraged and supported us so far. Hope to see you – Further On Up the Road! 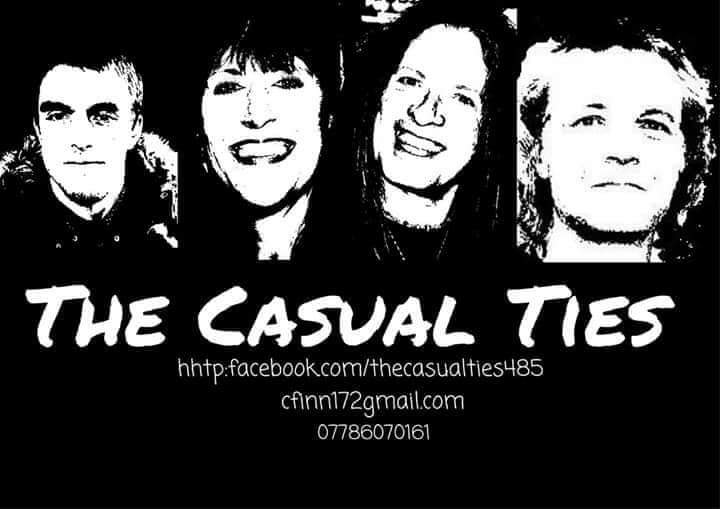 The Casual Ties, high energy and energetic crowd pleasers at festivals, events and venues around the UK. Simply cant put these guys into a box… Rock, Pop, Indie, Punk, the best songs from the last 4 decades will ensure you remember how much you love to dance.